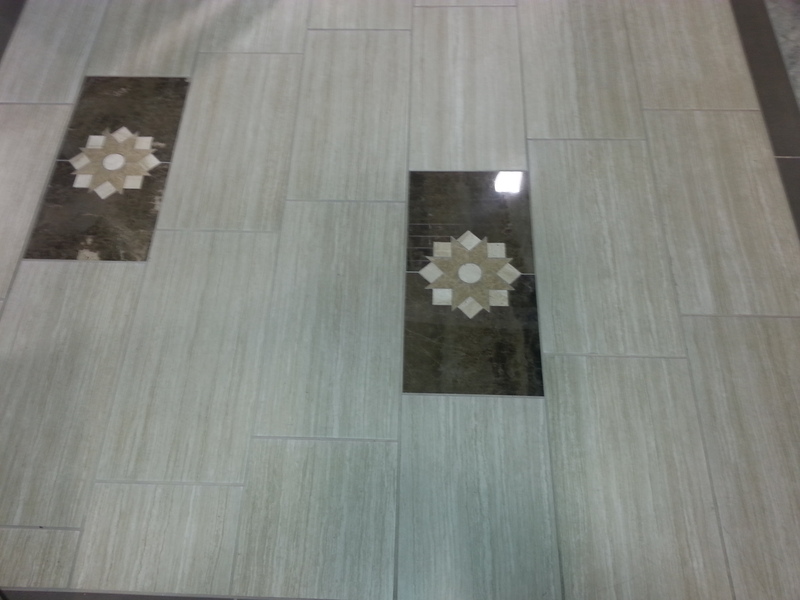 One of the Best things when we are doing tile patterns is how easy it is to use Decorative Pieces with them. 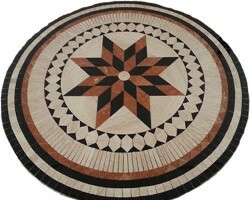 Making a Decorative Piece the size of the tile. 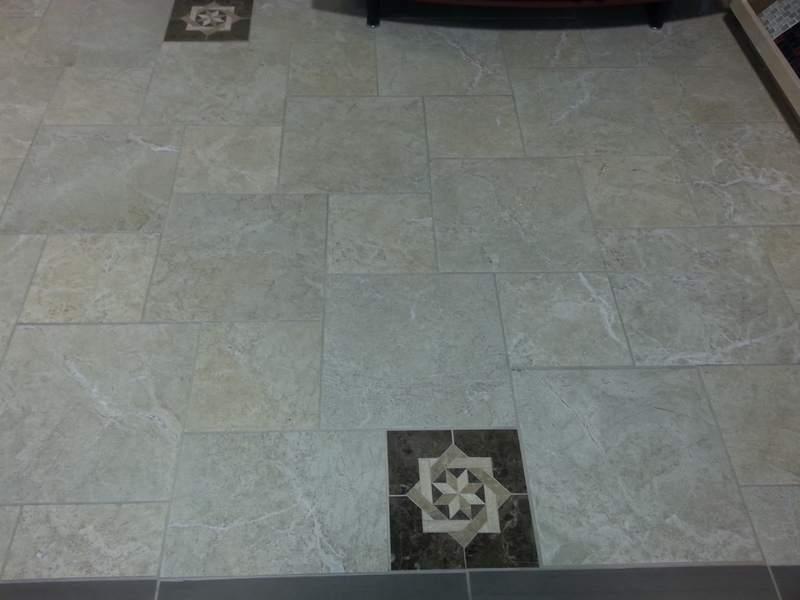 No cutting or waste is involved when we make our decorative pieces that way when you are laying your tile and they are very easy to install. 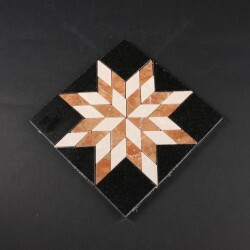 The other nice thing is if you are putting a medallion in your home it is very easy for us over at Designer Tile Plus to incorporate the Medallion Design into your Decorative Pieces. 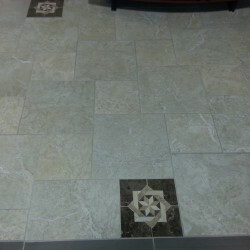 Giving your home a nice easy way of keeping everything uniform instead of trying to mix and match designs and looks with your tile. 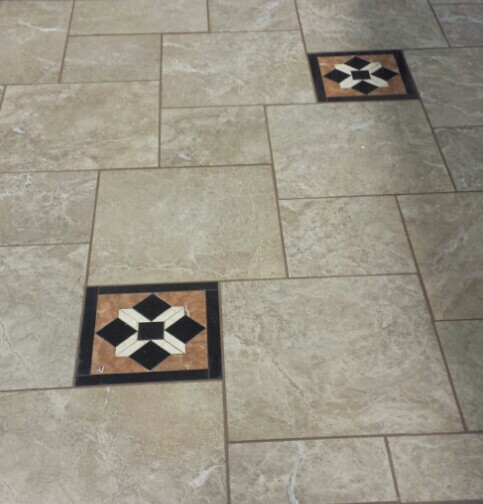 To help our Customers we usually try and tell them for their homes to never put the Decorative Pieces no closer than one in sixteen tiles. That way it gives you a better chance of not covering them with furniture when your project is completed. In some homes it may even be better to go one in twenty or more depending on how much furniture you do have. 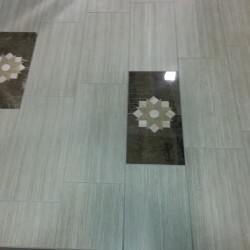 With just a few of these designs inserted into your floor your home will no longer be the same as other homes it will be as unique as you are. 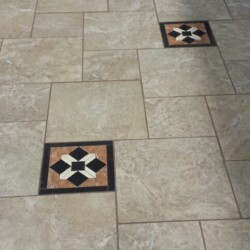 Because at Designer Tile Plus you can choose the colors, design, and size of all our Medallions and Decorative Pieces, making them truly one of a kind.